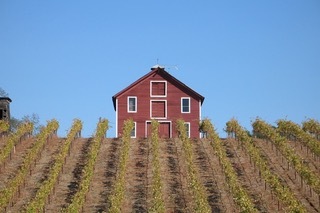 Sonoma County is arguably one of five or six places in the world universally recognized as a wine tourism destination. Millions of visitors are drawn to the region annually. 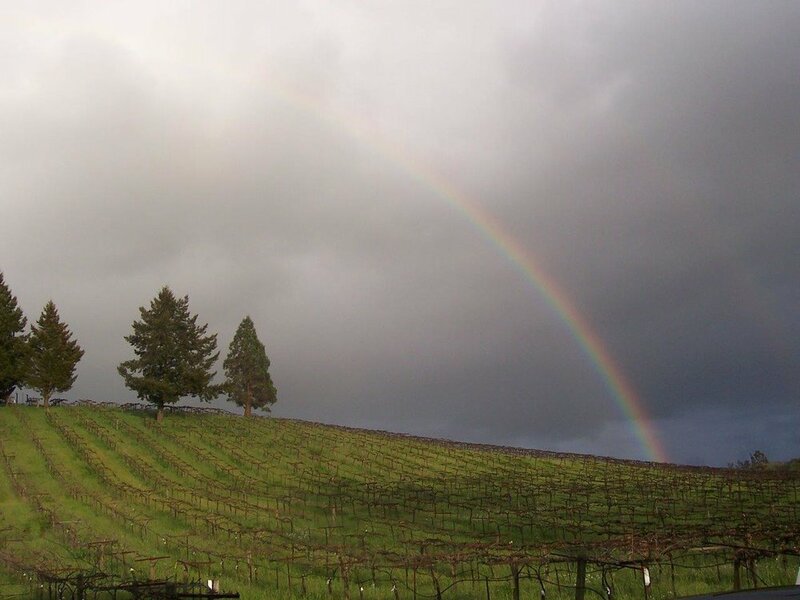 For better or worse, the image of Sonoma is defined largely by the marketing campaigns of big brands or corporations owning a portfolio of wineries. As a result, most visitors do not experience the best the county has to offer. It is the small, family-owned wineries that are producing some of the planet’s most interesting wine and providing experiences that are both personal and unique that make the Sonoma experience worth it. Healdsburg is perennially listed as one of the best small cities in the United States and it is surrounded by some of the country’s top wineries. We recently looked at four of these producers. 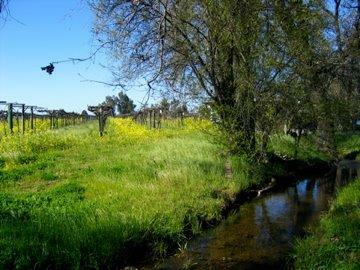 Two are north of Healdsburg in the Dry Creek AVA (American Viticultural Area) and two are south of the city in the Russian River AVA. Since 1973, Doug Nalle has worked with many of California’s leading wine producers. 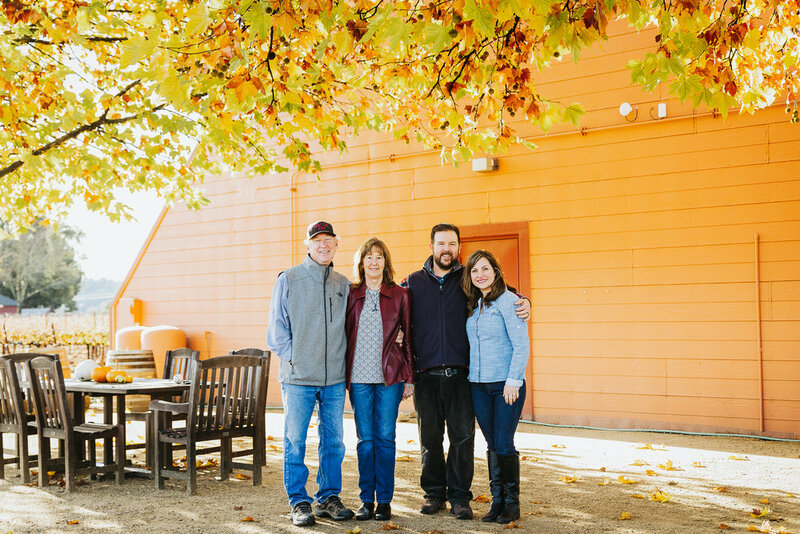 In 1984, Doug applied his skills to the first Nalle Winery vintage and opened Nalle Winery--making it one of the oldest in Dry Creek. Since those early days, Nalle has become synonymous with high-end Zinfandel. Parts of the 91-year-old Nalle vineyard, planted by the forebearers of Doug’s wife, Lee, have been bearing fruit since the end of prohibition. The estate wines include Zinfandel and Cabernet Sauvignon, which are poured alongside Pinot Noir sourced from the Russian River Valley. In 2002 Doug and Lee were joined by his son Andrew, who has since taken the reigns along with his wife April, who brings significant expertise in sustainable agriculture. Together, they continue the tradition of producing extraordinary, small-lot, dry-farmed estate wines. Nalle Winery offers an opportunity to relax with a glass of wine among the old-growth vines. You will also want to check out the unique above-ground-cave-cellar that is covered and cooled by a garden of living rosemary. And the Zinfandel is not to be missed. 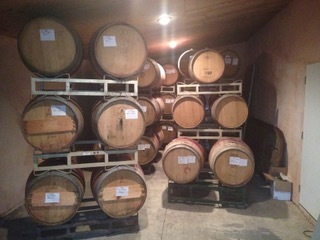 When Peterson Winery opened its doors 30 years ago, it was the seventh Dry Creek winery. Fred Peterson was not backed by great wealth when he started planting vines, but was fueled by a love of agriculture. 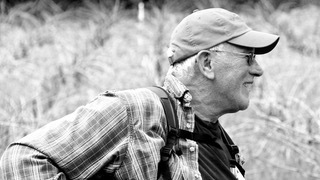 During those three decades, he single-mindedly grew his business and solidified his winery’s reputation for ultra-high quality, small-lot wines. Today Peterson bottles a whopping 8000 cases annually and is, despite its small size, the largest producer on this list. 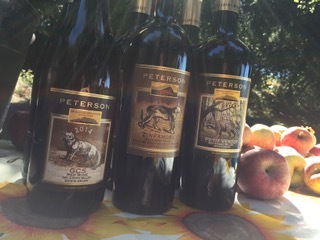 All of the Peterson wines are made exclusively from grapes grown on the estate or sourced inside the AVA. The wine program is rooted solidly in the quality of that fruit. Peterson is growing amazing wines on their Bradford Mountain property and they have been sourcing from the same small, neighboring vineyards for more than 25 years. When asked about what they do best, Emily Peterson answered emphatically with a single word… “Zinfandel!” While it is true that Bradford Mountain Estate Zin is the flagship wine, the Petersons are producing many other offerings worthy of note. Rhone, Bordeaux and Italian varieties give depth to the tasting menu and a visit to Peterson Winery always offers something new to learn and explore. Betsy and Bill Nachbaur are hands-on vignerons. As such, their primary focus is on their Alegría Vineyards, which is certified sustainable. That effort is reflected in the quality of wines bottled under the Nachbaurs’ Acorn Winery label. Unique among the field blends, is the Acorn Medley, a vintage-specific whole-vineyard blend. Medley includes all of the more than 60 grapes and it is the only wine blended after the component wines are made. In other words, it is a blend of the field blends that best showcases the particular growing year. By-appointment-only, seated tastings can be scheduled and may include a vineyard walk along with wide-ranging conversations around anything of interest to visitors. A relative newcomer on this list, Campana Ranch Winery bottled its first vintage in 2012 and opened to the public three years later. Do not be deceived by the age of the winery. Owner and winemaker Steve Bell has worked in the industry since 1977 as a vineyard manager in both Napa Valley and Sonoma County. Steve also spent 30 years of this time making wine at home before friends convinced him to open his own winery. Forty years of vineyard experience gives Steve a keen appreciation for the importance of quality fruit. Pinot Noir is grown on the Campana Ranch property and Chardonnay is sourced in the Russian River Valley. 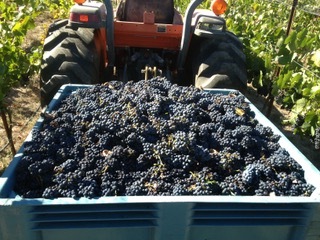 Other grapes are brought in from Spring Mountain Vineyard in Napa Valley help add diversity to the wine program. As of this writing, Campana Ranch is bottling 750 cases of handcrafted wine annually. Steve has his hand in every aspect of the process and crafts wines intended to be as approachable as possible. A stop at Campana Ranch Winery is certain to be an intimate experience. Steve Bell and Sher Bell Boatman pour the wine, so visitors have direct access to the owners and winemaker. The most popular wines include the Campana Ranch Malbec and Petit Verdot. Open Saturday noon to 4:30 pm or by appointment. Open Friday thru Sunday, 11 am to 4:30 pm. Reservations made online at acornwinery.com.